Ce poste sera couvrant l'un des grands héros de feuilletons français, qui peuvent avoir été un inpiration tant pour l'Ombre et Batman, et qui a beaucoup de croisements, particulièrement avec des personnages de pâte à papier. November 1795--TALES OF THE SHADOWMEN VOLUME 6: GRAND GUIGNOL--"Is He in Hell?" --A crossover heavy tale of the Scarlet Pimpernel. Crossovers include: JUDEX (of course), FANTOMAS, PHILIP JOSE FARMER'S WOLD NEWTON UNIVERSE, TARZAN, BLACK COATS, MONSIEUR LECOQ, DOC SAVAGE, CONAN THE BARBARIAN, ORLANDO FURIOSO, DON QUIXOTE, THE MAGIC SWORD, LEONOX, and AROUND THE WORLD IN EIGHTY DAYS. December 11 to 13, 1795--THE WORLDS OF PHILIP JOSE FARMER 3: PORTRAITS OF A TRICKSTER--"The Wild Huntsman"--A mega crossover story written by Win Scott Eckert related to the Wold Newton meteor event. Crossovers include: PHILIP JOSE FARMER'S WOLD NEWTON UNIVERSE, TARZAN, DOC SAVAGE, SHERLOCK HOLMES, THE BLACK COATS, BULLDOG DRUMMOND, LORD PETER WIMSEY, A.J. RAFFLES, THE SCARLET PIMPERNEL, SEXTON BLAKE, AROUND THE WORLD IN EIGHTY DAYS, HAVE GUN-WILL TRAVEL, TALES OF THE SHADOWMEN, PATRICIA WILDMAN, JAMES BOND, THREE MUSKETEERS, THE MYSTERIOUS DOCTOR CORNELIUS, THE MYSTERIES OF PARIS, PRIDE AND PREJUDICE, THE LESBIAN VAMPIRES, JUDEX (of course), CONAN THE BARBARIAN, THE LOST WORLD, JULES DE GRANDIN, OPAR, TWENTY THOUSAND LEAGUES UNDER THE SEA, THE SUICIDE CLUB, IRONCASTLE, THE SEA WOLF, FU MANCHU, ARSENE LUPIN, THE GRAY MAN OF ICE. 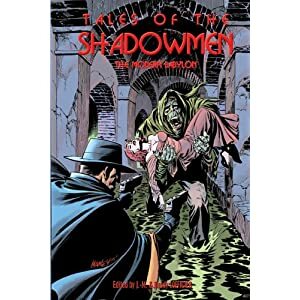 August 1900--TALES OF THE SHADOWMEN VOLUME 4: LORDS OF TERROR--"The Mark of Kane"--Sequel to the story featuring Erik the Opera Ghost's original version of the later "CHARLIE'S ANGELS". Crossovers include: PHANTOM OF THE OPERA, JAMES BOND, MISSION: IMPOSSIBLE, CITIZEN KANE, GIGI, PYGMALION, RIMA THE JUNGLE GIRL, ARSENE LUPIN, JUDEX (of course), SPIONE, CRAIG KENNEDY, THE SORCERESS OF THE STRAND, THE AZRAEL OF ANARCHY, SIMON CARNE, DR. MATERIALISMUS, THE QUAKER CITY, NYCTALOPE, ROULETABILLE, SHERLOCK HOLMES, NICK CARTER, LOVECRAFT'S CTHULHU MYTHOS, THE GREAT RACE, MONTE CARLO OR BUST!, THE ASSASSINATION BUREAU LTD., THE BLACK COATS, THE PERILS OF PAULINE, THE WILD WILD WEST, IT'S A WONDERFUL LIFE, THE CONSPIRACY OF MILLIONAIRES, LE ROUGE'S L'AMERIQUE DES DOLLARS ET DU CRIME, FANTOMAS, PHILIP MARLOWE, MR. SMITH GOES TO WASHINGTON, CASTING THE RUNES, ANGEL OF THE REVOLUTION, ADAM ADAMANT, THE LEGEND OF HELL HOUSE, THE MAN WHO BROKE THE BANK AT MONTE CARLO, SHOW BOAT, A RETRIEVED REFORMATION, MAVERICK, TRILBY, LOVEDAY BROOKE, THE WITCH OF PRAGUE, MARAHUNA, THE REPTILE, HAGAR OF THE PAWNSHOP, THE WORKS OF KIM NEWMAN, THE SHANGHAI GESTURE, and SHURAYUKIHIME. April to June 1916--JUDEX--Events of the serial the introduced the title character. Notes: Tarzan’s Horror Universe canon is his original stories by Edgar Rice Burroughs and crossover stories mentioned in this book. Opar is also a creation of Burroughs and the same rules apply. Judex is from a film serial, as are the Vampires. Originally, I had this set in 1915, in the Horror Crossover Encyclopedia, based on information from Win Scott Eckert, but the author of the story has informed me the story was set in 1917. 1917--JUDEX'S NEW MISSION--A sequel serial was released in 1917 titled Judex's New Mission (La Nouvelle Mission de Judex). World War I circa 1917--NIGHT OF THE NYCTALOPE--"Justice and Power"--"Justice and Power" has a pain-maddened Leo Saint-Clair knocking heads with Judex during one of the closing battles of World War I circa 1917, which explains how the Nyctalope had his memories of the horrible tragedy that befell his family on Barsoom suppressed for so long. May 1925--BELPHEGOR--The Celeritas Detective Agency appears in this serial and also previously appeared in JUDEX. 1925--THE SHADOW OF JUDEX--"The Dreadful Conspiracy"--A young Doc Savage is suspected of murder. 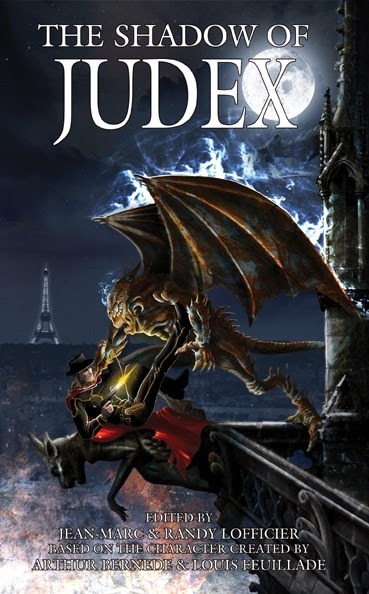 Crossovers include: JUDEX (of course), BELPHAGOR, DOC ARDAN, JULES DE GRANDIN, MAIGRET, SOLAR PONS, FU MANCHU, BOB MORANE, ANTON ZARNAK, TALES OF THE SHADOWMEN, AUGUSTE DUPIN, THE BRIGADES DU TIGRE, JOHN DEVIL, BLAKE AND MORTIMER. Some entries, such as this one, list the large number of crossovers without much detail because Sean Levin's website already covers them in much greater detail. The Story: Felifax battles the Werewolf of Paris while his surrogate sister is kidnapped by Quasimodo. Notes: Author Chris Nigro explains in this story the appearances of the Hunchback in such a late time frame as the late 19th and early 20th centuries, considering the setting of the original story. In particular, he references the meeting between the hunchback and the Frankenstein Monster in Skywald’s Psycho # 4. Felifax is an obscure French jungle hero whose original adventures have recently been reprinted by Black Coat Press. He has only appeared in two stories not by the original author. One is this story, and the other is “The Eye of the Tiger-Man” also by Chris Nigro and found in the Shadow of Judex anthology also published by Black Coat. May 1934--THE NYCTALOPE STEPS IN--"The Nyctalope's New York Adventure"--Crossovers include: JUDEX (of course), THE SHADOW, THE WORKS OF P..G. WODEHOUSE, MR. MULLINER, JEEVES AND WOOSTER, THE CASEBOOK OF GREGORY HOOD, THE WORKS OF ANTHONY BOUCHER, SHERLOCK HOLMES, FERGUS O'BREEN, NICK NOBLE, ELLERY QUEEN, MR. AND MRS. NORTH, THE WORKS OF GEORGES SIMENON, MAIGRET, ZIGOMAR, NERO WOLFE, TECUMSEH FOX, THE SAINT, PROSPER LEPICQ, COLONOL DUBOIS, TAXI, THREE STOOGES, THE WORKS OF DAMON RUNYON, and THE BLACK BAT. 1940--THE SHADOW OF JUDEX--”Ilsa’s Crossing”--Judex helps a resistance members flee the Nazies while seeking out documents of Nazi scientists. The War Wheel is mentioned. The War Wheel was encountered by the Blackhawks, Batman, Captain America, Sgt. Rock, and Easy Company. Early 20th Century--DEFENDERS # 2--In the 2012 revival of the series, Judex is revealed to have been a member of a European super-hero team in the early 20th century. Notes: Dr. Jonathan Crane will go on to become Batman’s foe, the Scarecrow. In the comics, the Scarecrow first appeared in the 1940s. In the Horror Universe, there was a Batman in the 1940s, with his sidekick becoming the second Robin in the 1960s. Presumably, Crane was younger in the Horror Universe and went on to be an enemy of the second Batman. In Freddy vs. Jason vs. Ash, Freddy dissipated at the end of the story, as he often does when he’s defeated. This time, he must have moved backward through time, being incorporeal within the timestream. This story isn’t the first instance of Freddy possessing someone. In the second Nightmare film, Freddy possesses Jesse, the boy who moves into Nancy’s house five years after Nancy defeated Freddy. His anxiety as the new kid allowed Freddy to slowly take over. The more control he gained, the more fear Jesse had of losing control. Thus, the fear of losing control gave Freddy more control. Then in Nightmare 5, Freddy tries to possess an unborn child still within the womb, this time by convincing the child in his dreams to willingly be a vessel. Judex is the hero of this story. Returning guest host Chris Nigro joins the TVCU Crew to talk with Matthew Dennion about Tales of the Shadowmen, Sherlock Holmes, G-Fan, Judex, Batman, Freddy Krueger, the Invisible Man, Latitude Zero, Kaiju, Polar Yeti, Atomic Rex, French Pulps, Victorian literature, crossovers, and Black Coat Press. April 1987--TALES OF THE SHADOWMEN VOLUME 11: FORCE MAJEURE--"A Fistful of Judexes"--An interview with a security company that carries on the legacy of Judex. Crossovers include: HOUSE OF CARDS, BERGERAC, TEDDY VERANO, THE BLACK COATS. TVCU-2--A remake was made in 1934 under the same title, directed by Maurice Champreux, and starring René Ferté as Judex. TVCU-3--Another remake was done in 1963 by director Georges Franju under the same title. The story was shortened and simplified but remained true to the original. American magician Channing Pollock was cast as the mysterious hero. 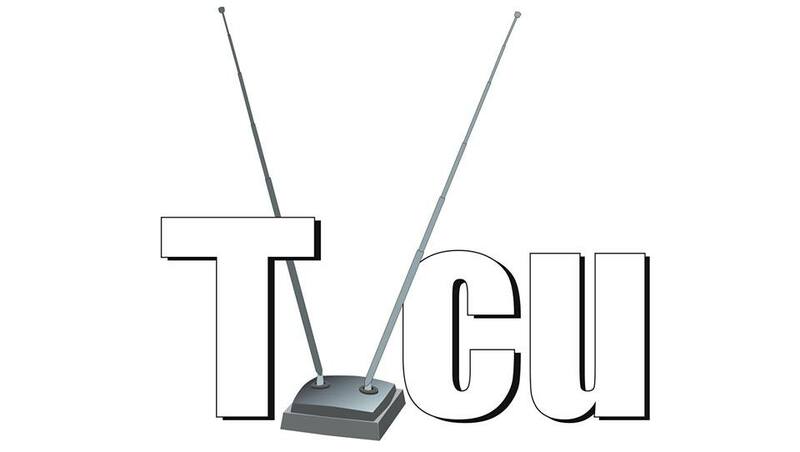 TVCU-4--The setting of a screenplay for Judex by Robert L. Robinson, Jr., which is available from Black Coat Press. The story places Judex in the modern era, circa 2007, and Mr. Robinson informs me he is trying to get a Judex television series created!!! There were some Tales of the Shadowmen stories that I didn't have dates for, so I have left them off until I can find the dates. I have all the books, but they are buried right now unfortunately. Thanks to Win Scott Eckert, Jess Nevins, and Jean-Marc Lofficier, for bringing Judex into my world. And coming soon... Les Vampires!